Ribbon and roll replacement is quick and simple. Direct and thermal transfer labeller, connectable to 3590, CPWE and DFW series indicators. 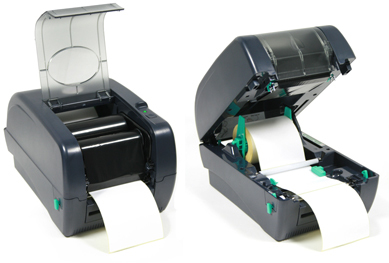 The fast label throughput, the high printing resolution and the compact size make it suitable for printing in any industrial environment. LABEL ROLL DIMENSIONS: 127 mm OD (5.0" OD). AVAILABLE BAR CODES: Code 39, Code 39C, Code 93, Code 128uCC, Code 128 (Subset A, B, C), Codabar, Interleave 2 of 5, EAN-8, EAN-13, EAN-128, UPC-A, UPC-E, EAN e UPC 2(5) digits add-on, MSI, PLESSEY, POSTNET, China Post, ITF 14, EAN14. 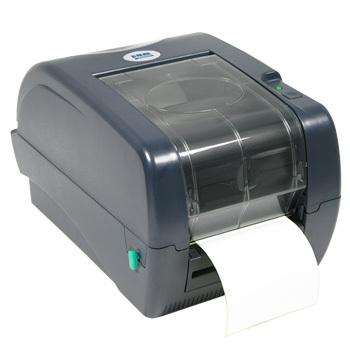 LP542TT Thermal transfer or direct termal labeller. Peel-off kit in option. LPRPK (S1) Peel-off kit for LP542TT.